This conversation explores the symbiotic relationship between a premier prepared food take out store and a neighboring farm stand. Knowing the source of your ingredients drives this close relationship between the the farmer (Jennifer), the cook (Sybille), and the ultimate consumer (us). In addition, Sybille and Jennifer will discuss how they deal with the problem of food waste. Sybille van Kempen is the chef and owner of the Loaves and Fishes Food Store in Sagaponack for over 35 years. Her late mother, Anna Pump, was her partner and driving force of inspiration leading to this successful and much loved foodie destination. She also owns the Loaves and Fishes Cookshop in Bridgehampton, the Bridgehampton Inn and Restaurant, and created the Loaves and Fishes Cooking School. 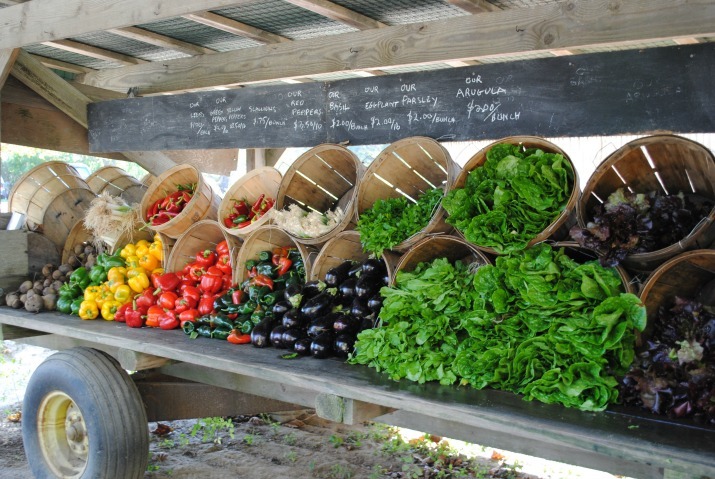 A native of Pittsburgh, Jennifer moved to Long Island for a job after college , met her husband Jim, quit her job, got married, became a farmer, and 19 years later they run one of the South Fork’s most iconic farm stands on Main Street in Sagaponack.